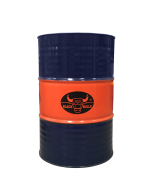 Black Bulls HD ELECTRO is Heavy-Duty Diesel Engine oil (HDDEO) contains high quality base stock formulated with the multiple advance additives technology. HD ELECTRO diesel engine oil provides superior lubrication for Generator diesel engines with EGR or DPF and high speed four stroke diesel engine for commercial, personal or off-road application or as recommended by OEM. Use for all diesel engines where API CH-4 or lower and above service grade recommended by the manufacturer. Serves best for diesel engines with EGR system and turbochargers. Increases fuel economy due to ultra-low vaporization loss. Specially designed for Engine with EGR and turbochargers fitted. Highly effecient in dispersancy and detergency keeps engine clean. Reduces Kinetic energy loss out of friction wear by effectively dispersing ash and deposits.